Gen Kelsang Tonglam is the National Spiritual Director of Kadampa Buddhism for East Asia and the Resident Teacher at Kadampa Meditation Centre Hong Kong and Kadampa Meditation Centre Taiwan. 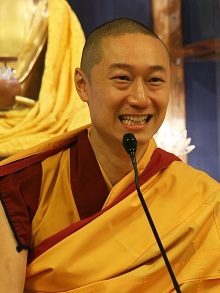 Gen Tonglam has trained under the guidance of Venerable Geshe Kelsang Gyatso Rinpoche for over 25 years. He is renowned for his ability to present Buddha’s most profound teachings in simple and most practical ways, injecting a renewed enthusiasm and driving force in our ordinary life. He will grant the empowerment and give teachings at the Dharma Celebration. 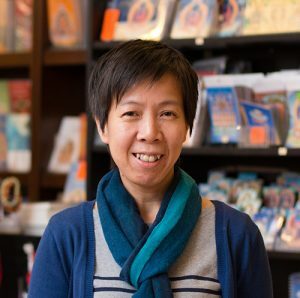 Dianna Lau has trained under the guidance of Venerable Geshe Kelsang Gyatso Rinpoche for over 15 years. She is skilled in applying the ancient wisdom of Buddha’s teachings to contemporary living. Drawing from personal experiences, Dianna shares insights on how to skillfully apply Dharma in a positive and practical approach in order to meet the challenges in our modern lives. She will guide the meditations during the Dharma Celebration.